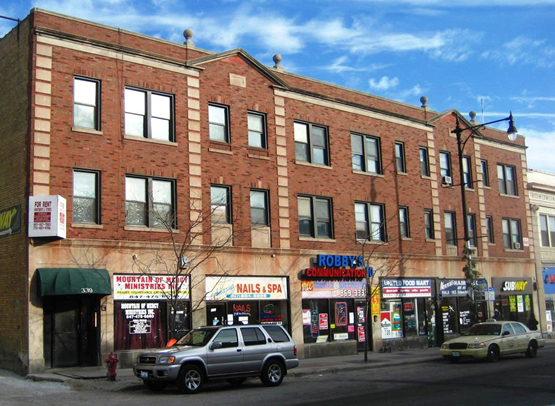 Chicago, IL – September 15, 2014 – American Street Capital (“ASC”) announced today that it has arranged $9.17 million in financing for a portfolio consisting of four mixed-use properties in Chicago, IL. ASC worked exclusively on behalf of their client to secure an acquisition and rehab loan with a correspondent bank lender. The buildings were in different neighborhoods around Chicago and required major renovation and a complete repositioning to attain the substantially higher pro forma rents. The seasoned owners were looking for a significantly better loan structure and interest rate readily available from their existing lenders. ASC successfully obtained a single, high leverage loan with an interest rate that was 1.25% less than their lenders were offering. It also allowed the owners to simultaneously proceed on all four properties while other lenders required a much longer and costly phased approach. The new loan was the only one which offered an additional one-year stabilization period with an interest rate that was lower than the construction loan.